Home Tags Posts tagged with "knee pain"
With summer in full swing, more people take advantage of the warm temperatures and increasing their physical activity. Whether running/walking, gardening, or even taking the family on a picnic, the last thing anyone needs are sore knees. Avoid any weight bearing activities that could heighten the pain. Apply ice! Ice helps to reduce any swelling or inflammation by restricting blood vessels. This directly decreases the amount of fluid flowing into the injured tissues. Elevate- Keeping the knee propped up on the couch or a stool can help bring swelling down. Warm up- especially if your knee pain is sports related. It is also important to avoid downhills or running down stairs which increases the amount of weight/pressure applied to the knee. Make sure you are wearing appropriate shoes that are not only comfortable but provide enough support. 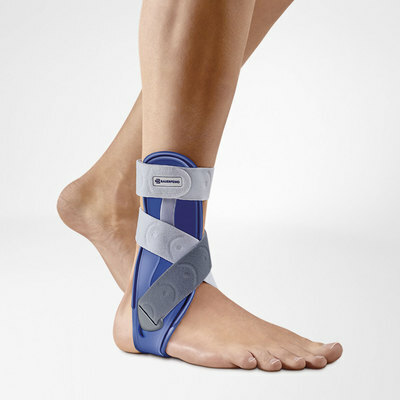 Wear a knee band or another similar strap for support. 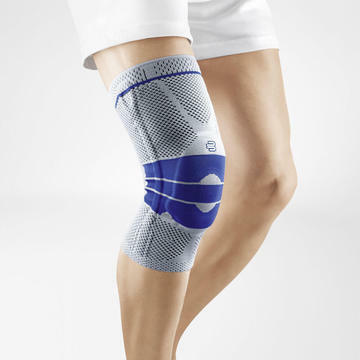 AllegroMedical.com carries a variety of icepacks and knee supports as well. A quality inexpensive pack is the Black Polyurethane ColPac. These cold packs range anywhere from 6.5”x11” in size all the way up to 12.5” x 18.5”. After chilling for two hours, these packs will stay cold for up to 30 minutes. Always remember to place a barrier between your skin and the cold pack to prevent a burn. If using ice or cold isn’t something you are too keen on, there are many soft goods available. One of the top selling knee bands is the Kneed-IT XM Magnetic Therapeutic Knee Band. With two strategically placed magnets, the support system works to gently absorb force at the knee. The magnets place subtle pressure along the medial (inner) and lateral (outer) soft tissues of the knee. One customer said “it is the most supportive knee brace I have ever worn” and would recommend it to a friend. 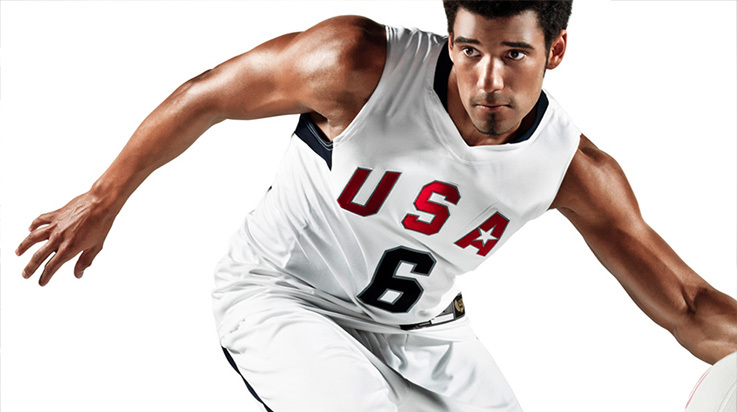 Be sure to check out all of Allegro Medical’s knee and cold therapy products. Remember, it is important to follow up with your primary care physician to evaluate the source of pain. They may also be able to prescribe an exercise or physical therapy program to further reduce the pain. For more than 15 years, AllegroMedical.com has been the leading online distributor of home health and wellness products. Rely on Allegro Medical for all of your pain relief and other health and wellness supplies. 1“Knee Pain.” MedlinePlus. U.S. National Library of Medicine, n.d. Web. 03 July 2013. <http://www.nlm.nih.gov/medlineplus/ency/article/003187.htm>. We are tough on our knees. Knee surgeries, knee replacements, sports injuries – I hear about them every day. No wonder we sell so many knee braces, supports, wraps, straps and bands. And they do more than just support your knee. These products are designed to give relief – blissfully immediate relief in most cases – from pre- knee surgery inflammation, everyday osteoarthritis, knee pain during sports or post-surgery swelling. Of the 125+ orthopedic knee pain or knee injury products on the Allegro Medical website, the products below are our best selling. GenuTrain Knee Brace– Anatomically knitted patella stabilizer fits precisely on any leg. Comfortable, lightweight and washable. Relieves knee pain and swelling during sports or everyday activities. Bauerfeind’s most popular knee support. Kneed-It Therapeutic Knee Guard – Targets the cause of knee pain associated with Repetitive Stress Injuries (RSIs). Absorbs shock and supports the patellar tendon. One size fits most. Great for workouts. Cho-Pat Dual Action Knee Strap – Newly patented design provides an extra dimension of relief for painful and weakened knees. Applies pressure below (patellar tendon) and above the knee cap while allowing for full mobility. Kneed-It XM – Magnetic Therapeutic Knee Band – Just like the original Kneed-It, this knee band is designed to alleviate knee pain, prevent knee injuries and reduce knee surgeries. The XM model uses magnetic therapy as well, which is reported to aid in the stimulation of blood flow to enhance natural healing. Universal Knee Immobilizer – If it is full knee immobilization that you’re after, this is your knee brace. Designed for a customized fit. Elastic Knee Support – Economical, effective joint control for weak or injured knees. Aids stiff, swollen and painful knees. Great for sports or everyday activities. Cho-Pat Patellar Kneecap Stabilizer – Improves patella tracking, resulting in less degeneration, inflammation and pain. Applies constant pressure to the joint, plus supports the kneecap to reduce subluxation and degeneration. Recommended for hyper-mobile kneecaps. The Original Cho-Pat Knee Strap is recommended for kneecap pain. Adjustable Knee Brace with Lateral Supports – A lighweight brace with built-in patella stabilizer and durable plastic stays for exceptional stability. Velcro straps allow for customized compression above and below the knee. Excellent support without sacrificing mobility. Standard Neoprene Knee Support – Slip on design and full range of motion. Ideal for sports, work or home. Features an open patella and tapered back to provide comfort. Dual compression, flexible metal spiral stays and removable buttress pad offer support, stability and adjustability. X-Back Knee Brace – Relieves knee pain due to joint injury or muscle weakness. Provides gentle support and compression over the knee. 8″ knitted elastic with an anti-roll design and lateral stays. Let us know if you need help finding something! And thanks for being an Allegro customer. We appreciate your business.